With an increasing number of early-2011 MacBook Pros suffering from what appears to be similar issues relating to built-in discrete AMD video cards, owners are now calling for a replacement program. 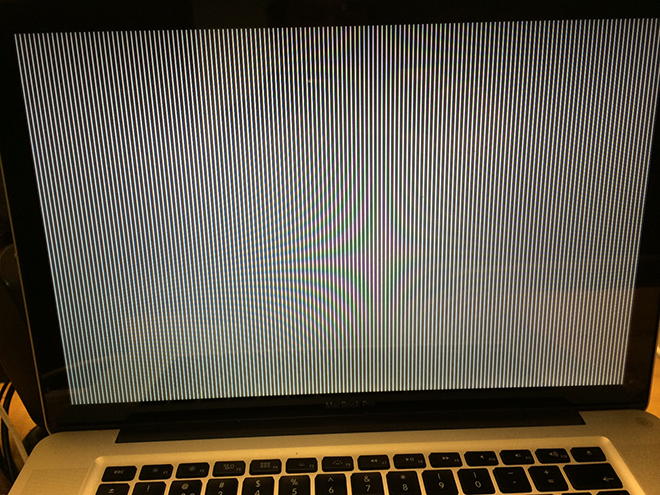 Screenshot of MacBook Pro graphics issue. | Source: Apple Support Communities forum member "Andy_Gee"
As AppleInsider first reported in October, a significant number of early-2011 15-inch and 17-inch MacBook Pro owners saw system crashes and graphics failures seemingly related to the laptops' discrete AMD-built GPUs. A follow-up report in January found an escalation of reported problems with one Apple Support Communities thread covering 157 pages with 206,237 views and 2,348 replies. It seems the problem is getting worse. Now being referred to as a "club," the group of users affected by the apparent hardware malfunction is growing by the day. As of this writing the main discussion thread regarding 2011 MacBook Pro GPU-related issues has swollen to 338 pages with a massive 538,585 views and 5,061 replies. The latest entries are dated May 13 and come from the U.S., UK, the Netherlands and Japan. While Apple has yet to officially respond to affected MacBook Pro owners, some have found luck in taking their faulty computer in for service. During the extended AppleCare Protection Plan period, which is quickly approaching its three-year limit, some customers were able to get their logic board swapped out. The procedure is reportedly hit-or-miss as there is no official standing order to replace the part, though unconfirmed reports claim a few specialists have said the problem is known to Apple. In any case, instead of paying the price to switch out the component, some users have chosen to simply abandon the laptop as broken. With no response from Apple, affected owners have started a Change.org petition addressed to Apple CEO Tim Cook and SVP of Software Engineering Craig Federighi in the hopes of shining a light on what they call a "manufacturing defect." The petition has 2,726 signatures of a required 5,000. Apple has in the past issued product recalls and initiated replacement programs for malfunctioning parts. Last August, for example, the company opened up replacements for certain mid-2011 iMac models that shipped with faulty video cards. Coincidentally, a variation of the component —AMD's Radeon HD 6970M —happens to be one of the GPUs early-2011 MacBook Pro owners are finding defective in their computers. Symptoms usually present themselves during graphics-intensive operations like watching high-definition video, editing large photos in pro-level apps or merely running computation-heavy operations. Many users see their screen go blank unexpectedly, while others have experienced visual artifacts and banding indicative of a GPU failure. A number of forum users have seen constant system reboots that arrive at a blue or gray screen upon restart. Apple's own documentation suggests that restarting an affected Mac in Safe Mode or resetting NVRAM/PRAM will solve this particular problem. 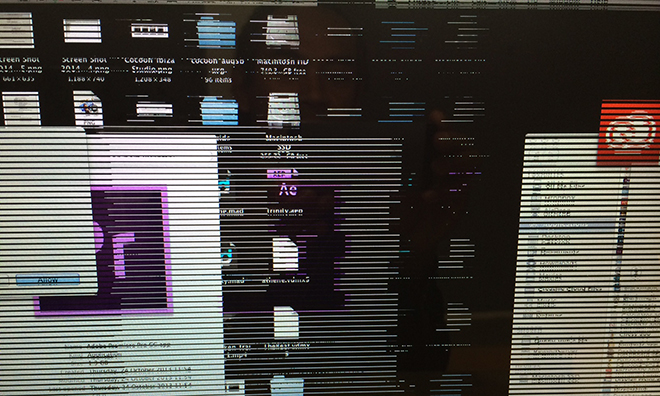 In severe cases, a clean install of OS X is recommended. Temporary workarounds have been suggested, but few have had lasting impact. For example, owners have seen success in rebooting to single user mode and performing a fsck to check and repair possibly corrupted files sometimes works, while forcing an affected MacBook Pro to use its Intel integrated graphics chip also helps for a short time. After extended usage, however, most systems revert to an inoperable state. AppleInsider has reached out to Apple for comment and will update when a response is received.